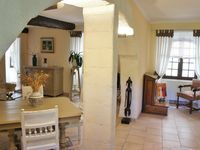 Apartment adjoining the owner, in the heart of the Luberon. Property 5: Apartment adjoining the owner, in the heart of the Luberon. Charming apartment T3 with terrace of 50 m2 in APT Capitale du Luberon. Property 31: Charming apartment T3 with terrace of 50 m2 in APT Capitale du Luberon. DOWNTOWN, INCREDIBLE VIEW ON THE SORGUE RIVER! Property 34: DOWNTOWN, INCREDIBLE VIEW ON THE SORGUE RIVER! T2 apartment with access to the family pool in the Luberon. Property 42: T2 apartment with access to the family pool in the Luberon. Maryse et Alain were perfect hosts. Then paid attention to all the little details that make a place very special. We have already booked our next visit. Situated in the center of Apt, the condominium is perfect for two people,lovely ambiance (very fran&ccedil;aise) quiet neighborhood, all the amenities one could imagine, a beautiful well-kept terrace, easy parking, close to the famous Saturday march&eacute;, as well as restaurants, etc. We loved it!